As we are asked to vote for a new Israeli Government, it may be important to consider some crucial issues that seem to be overlooked by most people, even by the competing parties who apparently are unable to conduct their differences of opinion on a level of basic decency. Without these considerations, it will be hard to vote. Problems relating to our security, how to deal with our enemies (especially after the latest upheavals), our financial situation, and so many other vital matters, however important, are not the issues that will determine whether our country will overcome its upheavals and succeed. All of them relate to a much larger issue that touches on our very being—far beyond the military, the “Israeli Wall Street,” and the wisdom needed to run a country. The main problem Israeli society needs to deal with is the question of why we live in Israel at all. What are we doing here? Why did we return to this country after nearly 2,000 years of exile? Why did we succeed in outliving all our enemies for thousands of years, although we paid an inconceivable price for doing so? Why are we sending our children to the Israeli army, thereby exposing them to an explosive warzone, when we know not all of them will return alive? What gives us the moral right to do so when they could live lives of much greater security and comfort in many other countries? Why insist on living in Israel and paying a huge price when terrorists keep on attacking us, killing and maiming our children and fellow Israelis? Is it really worth it? Is it morally defensible? It is these questions that stand at the center of our very existence and future. And if we don’t realize that, and don’t know or don’t want to know the answers to these questions, in the long run, we will vote out of ignorance and will fail to live up to the great merit that is bestowed on us— being allowed to live in this land. Such a failure could be detrimental and life-threatening far beyond the military, not only for the individual but for our entire nation. Before we even think about voting, our first duty is to know who we are, what is our identity and distinctiveness, and what is our history and therefore our future. No nation can live on a borrowed identity. We cannot defend our country when we don’t know what our nation is all about in terms of purpose, meaning, history, and mission far beyond its physical being. We cannot promote civility and women’s equality; fight violence, racism, abuse, and poverty; and uproot corruption or even traffic congestion (which has become a huge problem) if we do not first recognize what we stand for and what we are in essence all about. Some of us may think we know, but whether this is true is highly questionable. Throughout the centuries, historians, philosophers and anthropologists have struggled with the notion called “Israel.” While attempting to place Israel within the confines of conventional history, they experienced constant academic and philosophical frustration. Any suggested definitions eventually broke down due to serious inconsistencies. Was Israel a nation, a religion, or perhaps a mysterious entity that would forever remain inexplicable? Some viewed it less as a nation and more as a religion; others believed the reverse to be true. And there were those who claimed that it fit neither of these categories. It was clear to everyone, though, that “Israel” did not conform to any specific framework. It resisted all historical concepts and generalities. Its uniqueness thwarted people’s natural desire for a definition, since that generally implies arrangement in categories. Anything that flies in the face of categorization is alarming and terribly disturbing. When the Jews, nearly 2,000 years ago, were exiled from their homeland by the Romans, they were hurled into the abyss of the world’s nations and were confronted with a new condition: ongoing insecurity. They were attacked, tortured and killed by the millions, but to the world’s total surprise they survived all their enemies. They constantly violated the laws of history to which all other nations had to obey in order to survive. Jews endured against all logic and historical experience. In 1948 Israel once again became a country. But many forgot that it was not only a country. All its other dimensions, such as nationhood, religion, mystery, insecurity, and lack of definition continued to exist. Today, the people of Israel do not find themselves exclusively in the Land of Israel, and instead of one Israel the world now has two. But the second, new Israel has until now been seen as responding, more or less, to the demands of history, geography, politics, and journalism. One knows where it is. But it is becoming clearer and clearer that this new and definable Israel is now seriously on the way to becoming as much a puzzle and mysterious entity as the old Israel always was. In fact, it already is. Throughout its short history, the State of Israel has gone through the most mysterious events modern humankind has ever seen. Unlike any other nation, the very moment the Jews came home, after their 2,000-year-long exile and the atrocities endured by their families in the Holocaust in which 6 million perished, they found themselves surrounded by a massive Arab population that was incapable of making peace with the idea that this small mysterious nation was permanently going to live among them. To this very day, most of them cannot swallow this fact. From the outset, Israel was forced to fight its enemies on all fronts and, again against the rules of warfare, always won, although many times paying a very heavy price. It is attacked and condemned for defending its population and fighting for its very existence. Over the years it has had to endure the international community’s policy of double standards. Today, as in the past, when it calls for peace it is condemned for creating war. When it tries as no other nation to avoid hurting the citizens of those that declare war on it, it is accused of being more brutal than nations that committed and still commit atrocities against millions of people. Simultaneously, and against all logic, this nation builds its country as no other has done, while fighting war after war. What took other nations hundreds of years it accomplished in only a few. While bombs and katyushas attack its cities, and calls for its total destruction are heard in several parts of the world, it continues to increase its population, generate unprecedented technology, and create a stronger and more stable economy. But the more it succeeds, the more its enemies become frustrated, and the more dubious Israel’s security becomes. 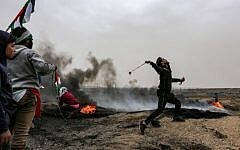 Subconsciously, Israel’s enemies know that this nation is different from all other nations, but they don’t want to admit it because it reminds them of another Force at work in history, which puts demands on them that they detest. They get terribly irritated by this mysterious nation and the irritation turns into resentment, which becomes one of the main roots of anti-Semitism. The more some nations aspire to destroy it, the more the world, including those who admire Israel, are forced to deal with this tiny population and its survival capacity. By now, news about Israel occupies more space in major newspapers than nearly any other political issue or general topic – as if its dubious security and irritating population are at the center of world events. Jews must ask themselves what this abnormality and non-classification really signifies. Is it due merely to lack of vision and insight on the part of the nations? Is it that Jews could really fit into a system but the nations have not yet allowed them entry? Is it a negative phenomenon? A temporary one, which will rectify itself in the future? We have only one way to comprehend the positive meaning of this otherwise negative phenomenon: the way of faith. From any other viewpoint, our inability to fit into any category—whether it is our miraculous survival capacity, or our contributions in nearly all fields of human knowledge, which are totally out of proportion to our numbers—would be intolerable and a meaningless absurdity. We must understand that our inability to fit into any category is the foundation and meaning of our living avowal of Israel’s uniqueness. Israel’s very existence is the manifestation of divine intervention in history to which it must attest. In Israel, history and revelation are one. Only in Israel do they coincide. While other nations exist as nations, the people of Israel exist as a reminder of God’s involvement in world history. Only through Israel is humanity directly touched by the divine. The realization of this fact has become modern Israel’s great challenge. Its repeated attempts to overcome its geographic and political insecurity by employing world politics will not work. Driven by its desire to normalize itself and become like all other nations, Israel’s wavering from geography to nationhood, appealing to its history, its Israeli culture, its high-level technology, and its military power as its ultimate purpose will all continue to backfire. Israel must admit that it is a “nation that will dwell alone and will not be reckoned among the nations,” as its arch-enemy the false prophet Bilam already stated thousands of years ago (Bamidbar 23:9). “I remember how the materialist interpretation of history, when I attempted in my youth to verify it by applying it to the destinies of people, broke down in the case of the Jews, where destiny seemed absolutely inexplicable….Its survival is a mysterious and wonderful phenomenon demonstrating that the life of this people is governed by a special predetermination, transcending the process of adaptation expounded by the materialistic interpretation of history. The survival of the Jews, their resistance to destruction, their endurance under absolutely peculiar conditions, and the fateful role played by them in history; all these point to the particular and mysterious foundations of their destiny” (The Meaning of History, Routledge, London & New York, 2005, pp. 86-87). Similarly, we find this recognition in the writings of the great French philosopher Blaise Pascal (1623-1662) in his famous Pensées; in War and Peace by Leo Tolstoy (1828-1910); and in works of several other writers. All of them were deeply affected by the fact that Israel was an entity that could not be understood by any conventional standards. Reading Israel’s Prophets, we see how they warned against such false notions as normalcy. They predicted that Israel would perish if it insisted on existing only as a political structure. Yet it can survive—and this is the paradox of Israel’s reality—as long as it insists on its vocation of uniqueness and anomaly. Israel was summoned to remind the world of God’s existence and justice, not only concerning religion but as a historical reality. There is no future for Israel unless it is secure in its own destiny. We must embrace the privilege of our own uniqueness, which is nothing less than assuming our role as God’s witness. And we must draw strength from this phenomenon, especially in our times when Israel’s very existence is again in danger. Once Israel recognizes its uniqueness it will, paradoxically, enjoy security and undoubtedly be victorious. Indeed, no other nation has overturned the destiny of humankind throughout the ages as much as the Jews have. We gave the Bible to the world and brought forth the greatest prophets and people of spirit. Our spiritual ideas and moral laws still hold sway over all of humankind, influencing entire civilizations. The Jews gave birth to a man who is seen by millions as their Messiah and laid the foundations on which moderate Christianity, Islam, and much of secular moral teachings were built. We provided humankind with a messianic hope for the future and endowed the human individual with dignity and responsibility. All this as a nation that should never have been heard of because of its lack of numbers generally required to make any impression on our world. I am reminded of the famous observation by the American Jewish author Milton Himmelfarb: “The number of Jews in the world is smaller than a small statistical error in the Chinese census. Yet we remain bigger than our numbers. Big things seem to happen around us and to us” (The Jews of Modernity, Basic books, New York, 1973, p.359). “We [gentiles] can hardly get up in the morning or cross the street without being Jewish. We dream Jewish dreams and hope Jewish hopes. Most of our best words, in fact—new, adventure, surprise; unique, individual, person, vocation; time, history, future; freedom, progress, spirit; faith, hope, justice—are the gifts of the Jews” (Thomas Cahill, The Gifts of the Jews, Doubleday, New York, 1998, pp. 240-241). It is for this reason that the attempt by secular Zionism to “normalize” the Jewish people has failed and will always fail. In fact, even the attempt at normalization ultimately threatens the very existence of the State. The desire to escape Jewish destiny by way of secular Zionism has undermined the moral security of the people that dwell in Zion. Now that Zionism has spent its inherited resources, large segments of Israeli society are left with rootless secularism, without memories and therefore without expectations. Wide sections of Israeli society have been alienated from the historic continuity of the Jewish people and have become unsure of the moral validity of our claim to the land of our forefathers. Indeed, there is no Israeli claim to the land; there can only be a Jewish claim. Where there is no continuity, there can be no return. Only in the uninterrupted chain of Jewish generations can there be certainty that this has been our land, all through our exile, and that this land has been taken from us by force. Our forever articulated faith in our rights to this land has been our eternal protest against anyone who held or wants to hold possession of the land of our fathers. But this faith is inseparable from our Jewish destiny. Once we reject this fact, our claim to the land stands on quicksand. We either return to the Holy land or there is no land to return to. It is, therefore, a great joy to realize that we are experiencing an “Israeli post-secularism” slowly taking over in the State of Israel. 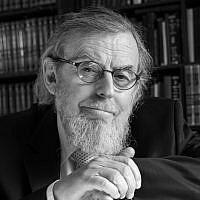 In a remarkable essay, Prof. Yehudah Mirsky of Brandeis University draws attention to a recently published Hebrew book, Yahadut Yisraelit (Israeli Judaism), in which journalist and analyst Shmuel Rosner and leading pollster Camille Fuchs make us aware that “some 70 percent of Jewish Israelis are committed to both national identity and religious tradition in some form or another” (“Understanding the New Post-Secular Israel,” The New York Jewish Week, March 13, 2019). It’s important to note that this does not mean that there is a full return to Orthodox religion, but rather a realization among a large majority of Jewish Israelis that without Judaism there’s not much point in having a Jewish people and a homeland. They love Jewish Tradition and want the State to have Jewish character without coercion. What we now see in Israel is the opposite. There is clear post-secularism taking place. While this is great news, it regretfully seems to go hand in hand with a kind of extreme nationalism that has no place in Judaism. When racism raises its head and Kahanism starts to play a role, it could ultimately lead many Israelis to identify Judaism with this kind of bigotry, which will throw them back into secularism. That’s the reason we must fight this phenomenon in every way possible. Nobody doubts that we must take very strong action against Arab terrorism, and it will probably be necessary – if possible – to liquidate Hamas and Hezbollah altogether. But this can never justify the discrimination against millions of Arabs just because they are Arabs. Claiming that Meir Kahane did not call for violence is missing the point. He instigated it. And arguing that he also did a lot of good things has no bearing on this. History is full of cases of dangerous people who hid behind a façade of purity. They were waving a kosher flag but concealing unclean cargo. Many very good people, including some of my students and friends who believe that Kahane was right, don’t understand the consequences of his approach. It could easily turn into hate for all gentiles as well as secular, (Modern) Orthodox and Chareidi Jews. They are, however, correct in asking why we still tolerate the Arab Balad party, which assisted terrorists, supported Hezbollah and rooted for Syrian Bashar al-Assad. But that doesn’t justify Kahanism. One cannot condone racism on the basis that we allow other forms of evil as well. Also, the Balad party doesn’t claim to represent Judaism, while the followers of Meir Kahane do. Also, the Chareidim will have to strive to integrate into the State without losing their uniqueness. They must remove any (financial) corruption and violence and ensure that they make a huge Kiddush Hashem, even if they oppose groups like Women of the Wall. They’ll have to conduct civilized conversations with them and understand that not everybody can believe in or live by their lifestyle. The same is true for some factions of Women of the Wall. They will have to stop provoking for the sake of provoking. 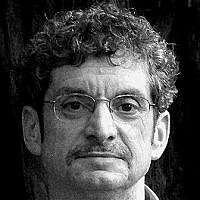 Both parties lack any grand vision for the Jewish State, which would not only bring an end to their animosity toward each other but would also come with a much larger vision of how we can live together without people having to make compromises that are, from their points of view, completely impossible. No doubt the future government must prevent bringing havoc on its people. No greater mistake could be made by an Israeli government than denying Israeli’s their religious Jewish roots and creating a serious rift between itself and the growing “post-secular” community, which is longing for a Jewish religious connection. The government will have to realize that these young people, together with all those who have a deep Jewish connection to the land, are the ones who are prepared to die for it and therefore the only ones who are able to restore the land. Only those who have a deep love for Judaism and a keen understanding of Jewish destiny—even if they are not (fully) observant—will be able to keep Israel thriving. They are Israel’s lifeline. We will have to realize that our physical and spiritual survival will depend on these people. Much work needs to be done by the next government, and above all by the Ministry of Education, to focus its concern on the awareness of the Jewish people’s radical otherness and of its moral mission in the world. It will have to create pride in our Jewishness. Once that goal has been reached, it will become obvious that we’ll be able to stand up against any threat, from without or from within. We are defending not just a country but also a prophetic mission, which is crucial not only to our own wellbeing but also to that of the entire world. Only then can we claim that it is morally justified and a great privilege to send our children to the army. Only then will confusion be replaced by certainty and bewilderment by calm. Careful consideration of the above facts will make it possible for all of us to vote as informed, proud people understanding our enormous responsibility. If not, our votes will be in vain. May God grant us wisdom.